When it comes to home financing, finding great benefits without breaking the bank can be a difficult proposition. USDA loans are amazing home financing solutions for clients interested in living in certain suburban and rural areas in Plano, McKinney, and Frisco, Texas. USDA loans are a type of nonconventional loan that is insured through the federal government, which means they have more flexible approval requirements than some other privately insured loans. If you’re interested in learning more about home financing, our professionals have more than 20 years’ experience to rely upon. 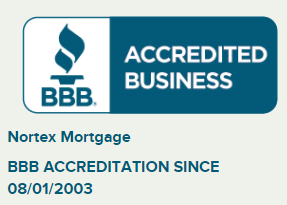 Contact Nortex Mortgage with questions or to schedule a consultation about your goals as a homeowner. USDA loans are a type of nonconventional loan. Nonconventional loans are insured, in part, through various departments of the federal government. These differ from conventional loans, which are fully funded and insured through private lenders. Other common types of government-backed loans include VA loans and FHA loans, each of which are uniquely designed for different types of borrowers. If you think USDA loans sound like they may be a good option for your family, contact Nortex Mortgage today. Our qualified mortgage professionals can give you the answers you need. We can quickly determine if you’re eligible for a USDA loan and show you areas that are eligible for financing. We have more than two decades of experience helping clients in Plano, McKinney, and Frisco, Texas, and we’d love to talk to you.